Identify your assets quickly and efficiently with our easy application Asset Labels. Choose from three different types of label materials all suitable for interior and exterior use, including low cost spot colour Vinyl for general applications, Aluminium Dye Sublimation for full colour labels or long life Anodically Printed Aluminium, ideal for harsh environments and extreme temperatures. Scroll down to view the range. All three materials are available in six different sizes and there’s up to 69% discount on bulk orders. Simply click the link below to order our Standard Asset Labels on line. 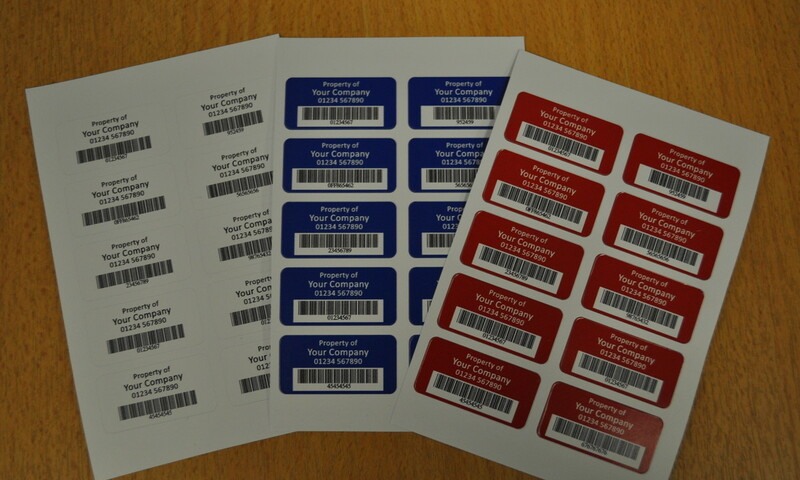 We can also product Asset Labels to your own individual specification. For bespoke sizes and materials just give us a call on 01275 871720 or complete the contact form below. To view a case study click here. At a great price, our top quality labels are second to none and there’s a huge selection to choose from. Brunel Engraving Company's range of vinyl asset labels are ideally suited for interior or exterior use. 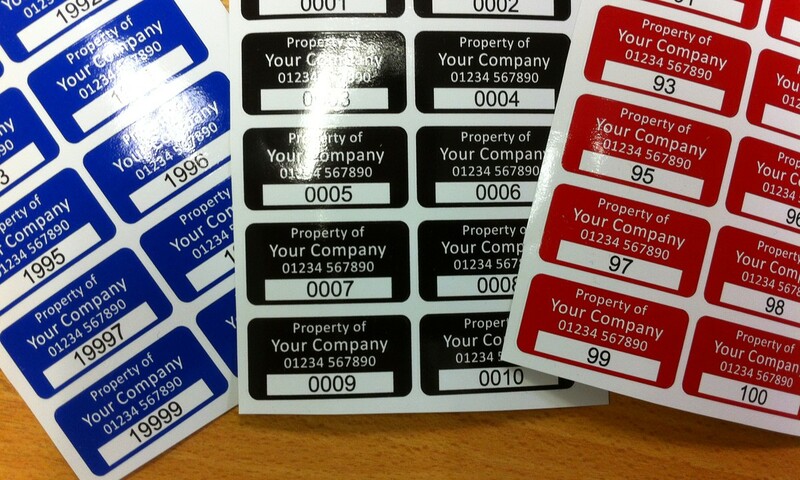 These low cost asset labels, printed spot colour are perfect for highlighting your company's assets. 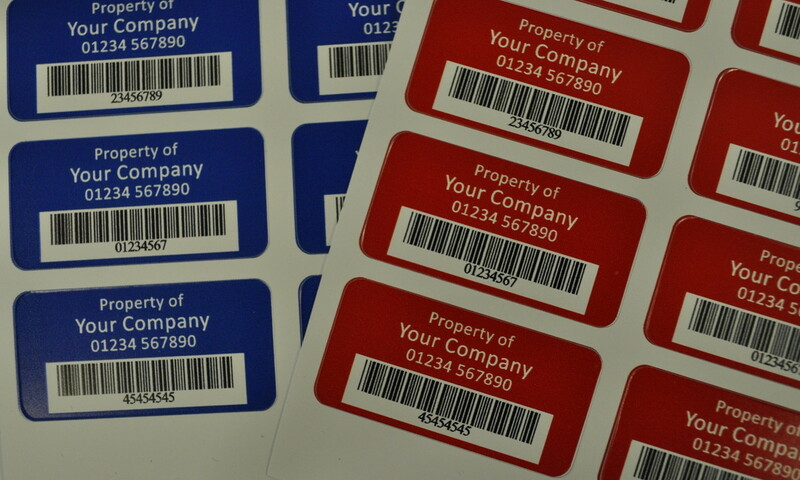 Aluminium Dye Sublimation Asset labels are ideally suited for interior or short term exterior use. 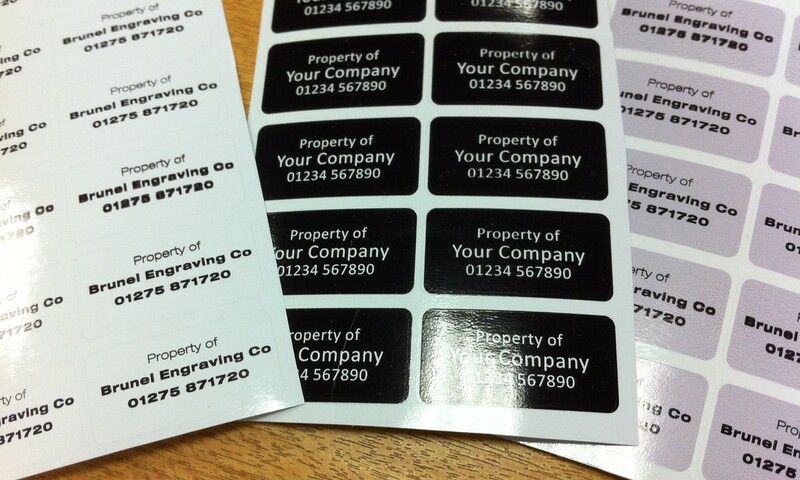 These low cost aluminium labels printed full colour are perfect for showing your company's assets. 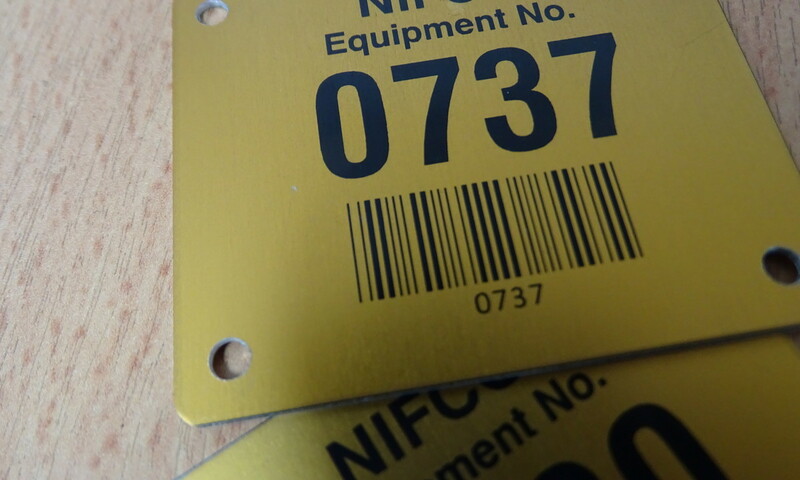 Anodically Printed Aluminium Asset labels are ideally suited to exterior use particularly harsh environments, long life applications and extreme temperatures.